With the movement toward secure payment processing via EMV chip cards, many small businesses are still resisting the required upgrade to chip-reading POS terminals. At AVPS, we totally understand that no business wants to incur extra expenses, especially when you already have functional equipment. However, our nation is at the point when credit card transaction security is a truly hot-button topic, and with so many highly publicized data breaches, both credit card issuers and consumers are fed up. 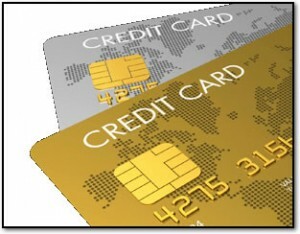 You know that, without EMV chip processing; your business will be liable for any fraudulent charges. If you still haven’t upgraded your equipment, you are gambling with your financial health, and your business’s future. We often think of fraud, especially remote cloning, as a “big city” issue. However, consumers across the nation, in towns both large and small, suffer from these crimes daily. You may think your risk is low, but no business is immune from potential fraud. With every day that passes, you increase the likelihood that you will end up liable for fraudulent charges. Beyond the financial impact of this liability, you’re doing your customers a disservice. The emotional and mental headache of credit card fraud affects people deeply, and creates feelings of victimization and distrust. Do you really want that for the customers who keep you in business? Additionally, if one of them finds out that your business compromised his or her card in a completely preventable manner, you’ll soon find that your business’s reputation loses credibility. As you can see, the stakes are too high, and avoiding a POS terminal upgrade will end up costing you more money than it saves. AVPS offers a variety of affordable options and can help your business become EMV compliant. We strive to provide truly functional credit card processing risk management solutions, and we can help you. Don’t let the EMV liability shift affect your business, and call us today to discuss your options.